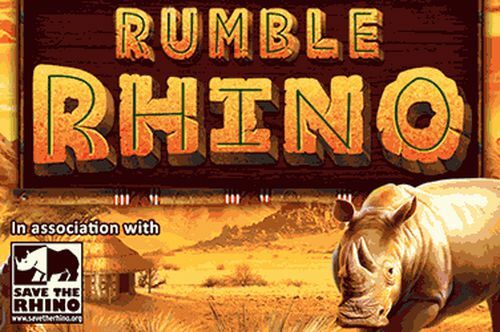 With a name like Kitty Glitter, we think this game’s theme doesn’t need much introduction. IGT’s glamorous feline-themed five-reel, 30 payline slot game has a most valuable symbol of 1000x on the line bet and offers lots of cuddly, fun time on the reels. Playing Kitty Glitter invites spinning for the potential win, and it all entails landing the different cat symbols and for the cash prizes! The bowl of gems symbol is the scatter-bonus and triggers 15 free spins that come with a 3x multiplier. 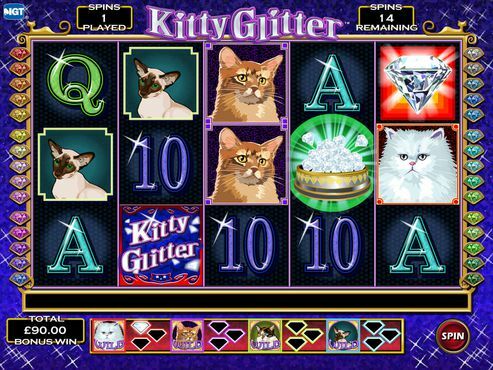 With a name like Kitty Glitter slots, we think this game’s theme doesn’t need much explaining. Introducing IGT’s glamorous feline-themed five-reel, 30 payline slot game. Play Kitty Glitter slot and spin to win, landing plenty of cat symbols and more for cash prizes! While cat themes may not be too uncommon, the addition of glitter to proceedings probably isn’t as frequently witnessed, although we don’t think it needs to be. Regardless, it’s a fun and bright slot game for all to play, unless you’re not a big fan of cats, that is. 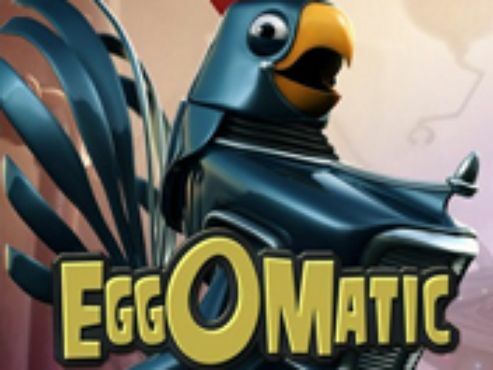 Plus, if you think really, really carefully, you might be able to find a clever bit of wordplay in the game name. A lot of people have been wondering who the Kitty Glitter author is, but we suspect it was a team effort. When you launch Kitty Glitter slots, you’ll notice the somewhat aged graphics but overall friendly design. The reel symbols themselves are of quite a low quality, although it’s not entirely clear if that’s the look that IGT is going for. The background hasn’t undergone too much thought either, although the shiny red surface does fit in with the glitter aspect. The reels are lined with what appear to be different coloured gems and bordered with an elegant looking gold frame, topped off with decorative cat silhouettes. Cats are the uncrowned heroes of the internet, it is well-known that footages of home cats make up some of the most popular online video content, so it is hardly surprising that IGT decided to develop and release a game featuring cats and kittens, and not just any cats, but glittery ones. 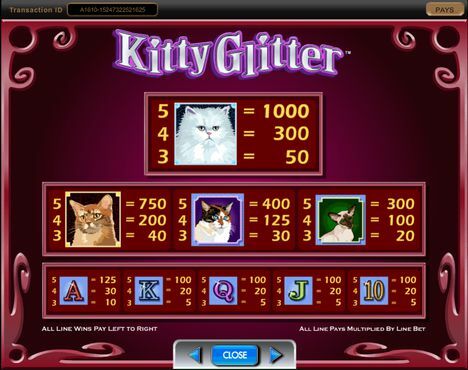 The result was pretty expected – Kitty Glitter soon after its release became one of the most popular slot titles. Before you spin to win on Kitty Glitter slots, you’ll need to select your stake for each spin. There are a couple of things to consider when establishing your stake and these are the coin size, or line bet as it’s otherwise known, and the number of paylines you activate. 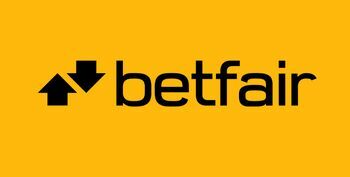 Selecting your line bet is easily done by using the relevant + and - buttons. 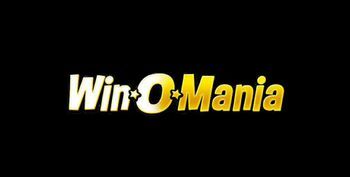 The minimum you can wager per line is 1p, which is quite handy if you like to play at a lower stake level. In fact, you could play the game with a single penny, if you activate just one payline and wager a penny on it.The chances to win with such a wager are quite low though. 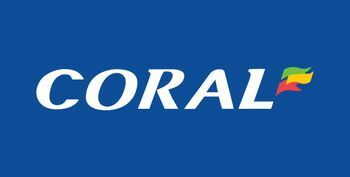 This came could then well be suited to the high rollers, with the maximum line bet going all the way up to £300, which is £10 per payline. The next thing to consider, as mentioned, is the number of paylines you’d like to activate and play across. While there is a maximum of 30, you can’t play on any number of them between 1 and 30. The amount you can activate goes up in increments, meaning you can play across either 1, 5, 9, 15 or 30. Your total stake is then established by multiplying your coin size by the number of active paylines. 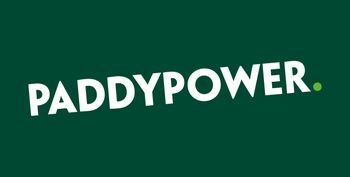 So, if you’re playing with a £1 coin size with all 30 paylines activated, your total stake will be £30 for a spin. It’s also worth noting that the more paylines you have active, the more chance you have of landing winning combinations in various ways. Kitty Glitter slot has playing card symbols that make up those of lower value, 10, J, Q, K and A. Luckily, they are relatively on-theme because they each come with an added sparkle which some could argue is glittery. The higher value symbols for this slot are definitely more on the theme, comprising of various cats, all different in colour and breed. Although the cats collectively make up the higher value symbols, they do vary in terms of how much they pay out. The most lucrative is the white fluffy cat that looks less than impressed to be sitting inside a slot game. There’s also a wild symbol that’s represented by the Kitty Glitter slot logo. The wild will substitute for all others, except the cat bowl of gems scatter, to help fit in and create winning combinations. When you play Kitty Glitter slots, you’ll need to land three or more matching symbols consecutively across an active payline in order to receive a winning payout, from left to right. As mentioned, the payout you receive is, of course, dependent on which symbol it is that you land and how many. The most lucrative symbol, the fluffy white cat, will pay out the most out of the standard symbols and that is 1000x your coin size if you land five across an active payline. Like we also said, the wild symbol can help you get cash payouts by fitting in to create a winning combination. Unlike some other slot games, it won’t add a multiplier to your win if it’s included though. Other ways to get your hands on some lucrative prizes and cash would be by landing non-standard symbols, like the scatter. This is the symbol you’ll need to land in order to trigger a bonus round. 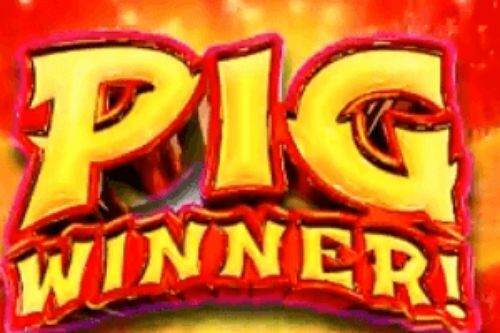 All players are looking for a Kitty Glitter slot machine big win, but to be honest, there is no secret winning formula, it all comes down to luck. Kitty Glitter slots has a free spins bonus round and this is triggered when three cat bowl of gems scatter symbols land anywhere on the reels. The free spins round will then begin and you’ll be given 15 of them. Plus, landing the scatters will also pay you 3x your total bet. During the free spins round, a diamond symbol is added to reels. If a diamond lands in any position on reel five, one of the diamond outlines will be filled at the bottom of the screen, next to another reel symbol. When all three diamond outlines are filled next to a symbol, that symbol will become wild. These newly created wild symbols can appear on reels two, three, four and five only. The new wilds will also substitute for all others except the diamond and the cat bowl full of diamonds. 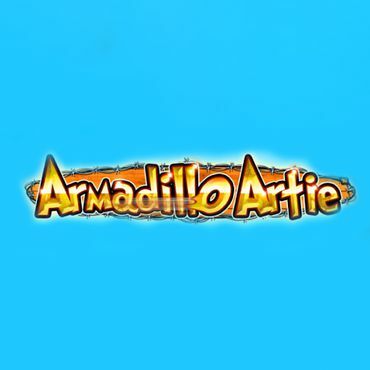 All free spins are played at the same line bet and number of active paylines as the triggering game. The Kitty Glitter free spins round ends and the bonus win is awarded when no more free spins remain or after 225 free spins have been played, the maximum number allowed. Plus, the round will also end if the top award limit is reached. 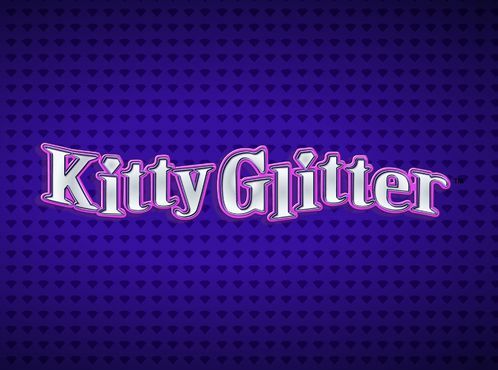 Once you register with one of our featured sites, you can start playing Kitty Glitter, and in many cases you would be able to play both for fun as well as for real money. This game is available across a range of devices, including smartphones and tablets. Most online casino sites that offer Kitty Glitter, offer both its desktop and its mobile version, all that you need to do to play the mobile version is to open the website in your mobile browser. Kitty Glitter is not one of the games with a high RTP, to be perfectly honest with you. At 94.90%, the RTP is not too low either, we can say that it is somewhat below what is considered to be the standard RTP rate for online slots – about 95%. Variance or volatility is often discussed as part of the same package as RTP. As you probably know, the two refer to different traits and aspects, a game can have a high RTP and a low volatility or vice versa. In fact, even though both are tied to the player’s chances of winning in a particular slot, the two concepts are expressed differently and aren’t mutually dependent on each other. The Kitty Glitter variance is medium to high, whereas as we already mentioned, the RTP is somewhat lower than the average. Medium to high variance means that you can’t expect to win a lot of prizes, i.e. to win very often, but the offered awards are pretty high in comparison to your wager and the amounts that you can expect to win otherwise, on other games. The Kitty Glitter slots game may not be the most ground-breaking in the slots scene, but it is a fun one for beginners to try out. The design isn’t outstanding, but there are some nice images to enjoy as you spin to win alongside some feline friends. 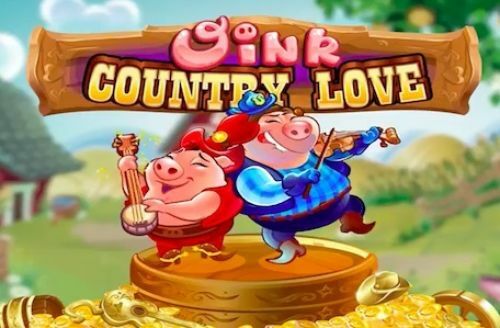 There isn’t an abundance of bonus features, although the free spins round has the potential to be lucrative for all players. Starting off with 15 free spins, even more can be triggered from within the round. This means players can, in theory, claim up to 225 free spins. With the Kitty Glitter retrigger option, the bonus mode is a lot more appealing. Plus, during this round, the reels change and there is a chance to turn standard symbols into wilds, meaning your chances of landing winning combinations are improved with the help of the newly formed special symbols. Overall, we’d recommend that you play Kitty Glitter slots for the chance to win a prize and have fun while doing it. 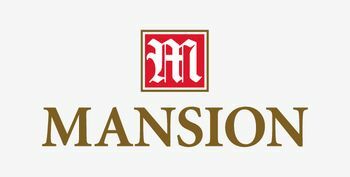 This slot is available at a range of SlotsWise casinos, so pick a site, register, claim your bonus and you're good to go!